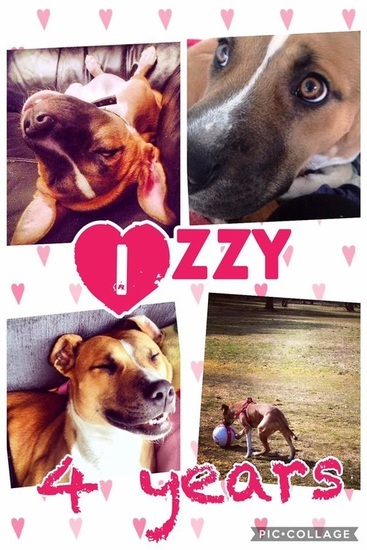 IZZY potentially has a home - we will remove this page once she has actually moved. Izzy is 4 years old and has been with us a few weeks now. She is in foster with another dog and some young children, but will be moving to a new foster home soon as the resident dog is not getting jealous (Izzy is fine, he is the one who does not want to share). 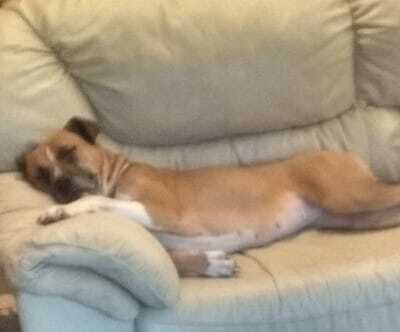 Izzy is high energy so would love an active household. She plays well with the children but does sometimes knock the baby flying when she bounces, so may be better in a home with slightly older children. If you are interested in adopting izzy please contact us . Homecheck and a donation apply.